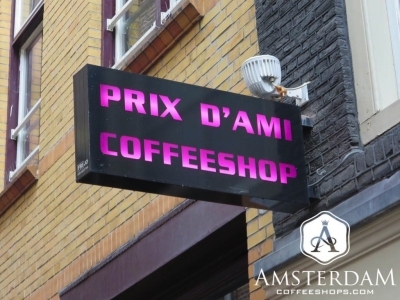 Prix d'Ami Coffeeshop is located on Haringpakkerssteeg (Herring Packers Alley). It would be hard to describe this street as anything but an alley. It is short and narrow. Even so, it can be quite busy with travelers. Haringpakkerssteeg connects the Damrak, a main artery into the city center, with Nieuwendijk, an extremely popular shopping street. It is difficult to tell from the outside, but Prix d’Ami is massive. 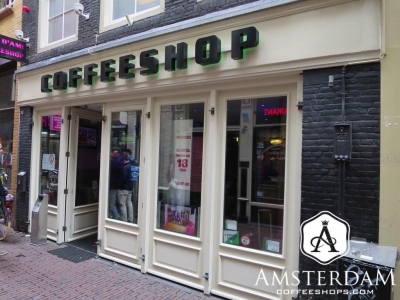 It is, in fact, the largest coffeeshop in Amsterdam. It can probably hold a couple hundred people, if not more. This shop exists on three floors, and has a total of six separate rooms. The décor is modern and carried throughout. Where there is seating, you will find either plush silver leather couches and stools, or wooden benches with silver leather cushions. The color palette, consisting of silver and purple, is quite pleasing, . 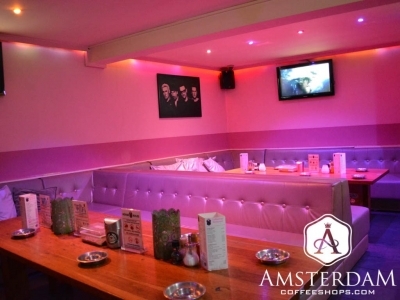 We would definitely describe Prix as more of a marijuana nightclub than a traditional Dutch cannabis bar. This coffeeshop is rich on amenities. For starters, it is the only shop with a 3D movie lounge, located in a room on the top floor. This is a nice touch for those who just want to watch something (usually weed-themed) and chill out. They have a billiards hall in here as well. If you are into music, check their schedule. On many evenings they have a live DJ. How about food or drink? They have wait staff, servicing each room, ready to assist. It is of note that the menu options are quite broad on both counts. For beverages, you can order just about anything you can think of including sodas, coffee, fresh mint tea, hot chocolate, juices, and smoothies. The food menu is equally impressive, offering a full range of sandwiches, toasties, paninis, salads, pizzas, gourmet burgers, some entrées, and desserts. Visit Prix d’Ami Coffeeshop in the morning, and you will find they also serve eggs and pancakes, as well as a full English breakfast. 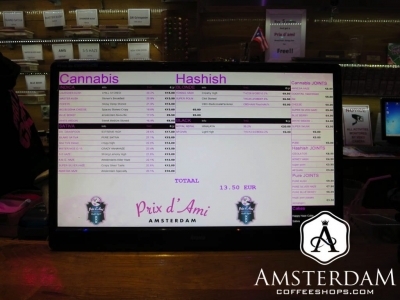 With regard to cannabis, Prix d’Ami has an extensive menu. They offer the greatest variety on the weed-side, where you will typically find listed upwards of a dozen strains. The selection here includes a few traditional old-school favorites, but mainly contemporary items. There are several choices on the hashish-side, usually traditional pressed items from places like Afghanistan, Morocco, and Nepal. In addition, they offer a variety of pre-rolled pure and mixed joints, and space cakes. 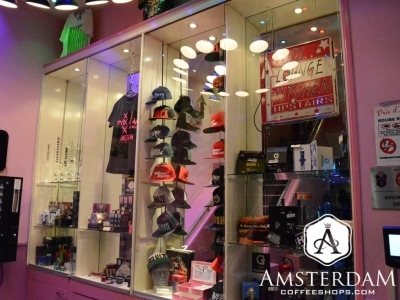 Prix d’Ami is a massive multi-level coffeeshop in the heart of Amsterdam city center. 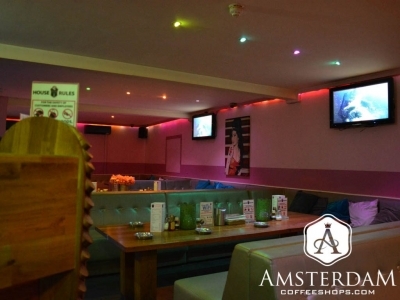 They offer an extensive selection of cannabis products and a full hot food menu. Furthermore, management is heavily focused on customer entertainment and experience. This is an exceptional coffeeshop, well worth a special trip.